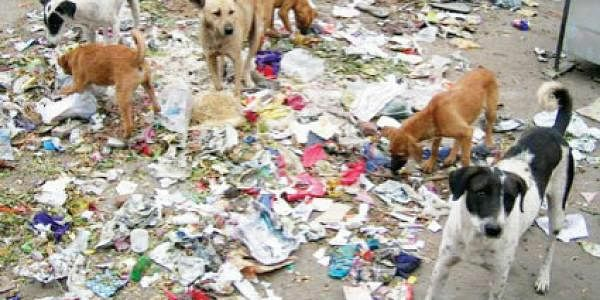 With the stray dog sterilisation programme in the Millennium City failing to make an impact, the Cuttack Municipal Corporation (CMC) has sent an SOS to the State Government seeking infrastructure development and expansion of facilities. The civic body has called for allocation of space within the Veterinary Hospital campus at Buxi Bazaar for establishing a new dog pound with kennels besides aiding expansion of the existing pound at Sartol. The Vet Hospital campus has the capacity to accommodate around 50 kennels while the unused dysfunctional operation theatre can be revived and utilised for dog sterilisations, the corporation has stressed. The desperation stems from the fact that there has been no discernible reduction in stray dog population in the city despite implementation of the programme for the last nine years since 2003. The major reason is the annual births far outnumber the sterilisations being carried out in a year. As per estimates, the existing dog pound at Sartol has around 77 kennels, which enables at the most 10 sterilisations a day. Dogs have to be kept at least a week for pre-and post sterilisation care before being released. At this rate, the annual sterilisation rate is only 3,000 while conservative estimates put annual birth at 10,000. There are over 40,000 stray dogs in the city, posing serious threat to the denizens. The infrastructure and kennels at Sartol are dilapidated requiring urgent repairs. But, it has not been done due to funds crunch. The civic body has also sought establishment of a dog house on the outskirts of the city to put in old and the infirm. Earlier, the district administration had allocated land near Jagatpur for the purpose, but the plan was shelved on account of fierce public resistance. “All the issues were taken up in the meeting chaired by the Chief Secretary recently. The Government is ready to push the Animal Husbandry Department to allocate space in the Vet hospital for establishment of kennels. We have also moved the Cuttack Collector for allocation of land for setting up the dog house,” city health officer Dr PK Pradhan said. Meanwhile, the Government has finally approved the Cuttack Municipal Corporation Maintenance of Stray Dogs Regulations 2012 laying down the rules and guidelines for dealing with stray dogs from catching, handling, sterilisation and rehabilitation to euthanasia in extreme cases. The regulations will be published in the State Gazette soon.